Rosen Fromstein LLP employment litigation practice group is a dedicated, full-service team known for providing employers and executives with sound, practical advice regarding their most complex and sensitive employment matters, whether they arise in the boardroom, courtroom, or the human resources suite. We also have extensive experience in handling claims of employee breaches of restrictive covenants and confidentiality agreements, as well as actions involving unfair competition, duty of loyalty and misappropriation of trade secrets. Rosen Fromstein LLP engages in the “front line” end of employment law practice, designed to advise employers how to avoid litigation. But, if a dispute should arise notwithstanding the best efforts to avoid litigation, Rosen Fromstein LLP’s employment litigators have the experience and background needed to properly present and protect our clients’ rights in employment or labor disputes. 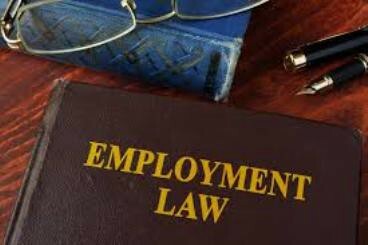 Labor and employment issues affect the livelihood and well-being of employees and their families and the success of the companies for which they work. The legal disputes between employers and employees can be highly charged, intensely personal, and often embarrassingly public. For these reasons, they can be very difficult to resolve. The number of employment-related litigation filings has been steadily increasing over the last decade, ranging from large-scale class actions to individual complaints. Employers are facing greater challenges and financial exposure from both current and former employees than ever before. Employment litigation covers many types of claims, including discrimination, harassment, wage-hour pay, classification, and overtime violations, wrongful discharge, entitlement to employee benefits, misappropriation of trade secrets and confidential information, unfair competition, enforcement or avoidance of restrictive covenants, labor union disputes, workplace safety violations, defamation and other employment-related torts. When a workplace dispute arises, both the employee and employer can benefit from seeking legal counsel. At Rosen Fromstein LLP, we represent clients in wide array of employment litigation matters. Our firm has the experience and skills to effectively represent industry professionals in employment related litigation before state and federal courts, administrative agencies, and alternative dispute resolution forums. We are committed to providing efficient, cost-effective and personalized representation of our clients.